Trumpcast | Listen Free on Castbox. 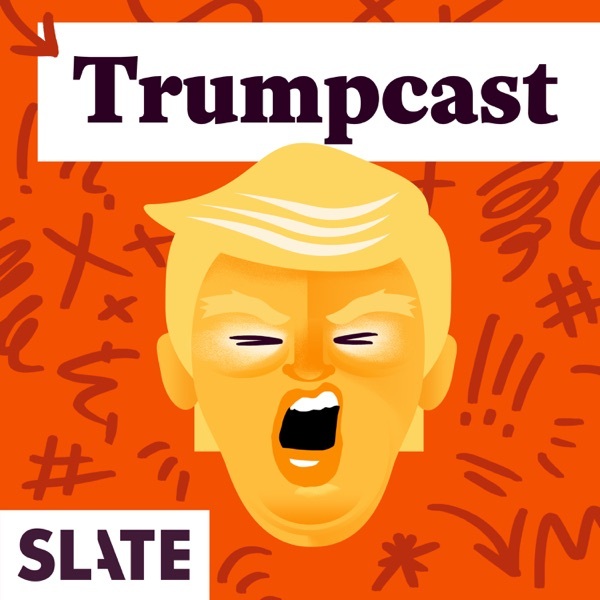 A quasi-daily podcast from Slate chronicling Donald Trump's rise to the presidency and his current administration. Journalists Virginia Heffernan, León Krauze, and Yascha Mounk talk to reporters, historians, psychiatrists, and other experts to help explain who this man is and why this is happening, right now, in the United States of America. Special: Has Mexico's President Turned His Back on His Own People? Behind Closed Doors At Kushner Inc.
there's a theory that Kilymnik set the Trump team up. He used secured phone lines for all his calls except those made to the Trump team. The idea goes that he knew they'd be caught out, as he knew he was being surveilled, and that the unrest it would cause in the US would cause massive unrest and dysfunction. The Trump team shouldn't have been shady or foolish enough to fall for it, but that they did, inadvertently meant the Russians won more than the election. excellent report on a critical and complex issue. one small correction: the poverty your guest described as "difficult for Americans to" imagine (maybe not the word he used) is difficult for many but not all Americans. some Americans are actually living in dire poverty, without running water or electricity in the home, if they have a home at all, and eating meat once a week with luck. do "differences of opinion" indicate a divided party? or just a sign that folks are creatively engaged in the process? would someone please tell your guest how to pronounce AOC's name? it will probably enhance his credibility. sounds good. I am still one of your loyal listeners on a fixed income with nothing left over but when my ship comes in, I'll be happy to support the superlative work you and other Slate stars do. hello, when rep Omar spoke truth about aipac, Congress passes a resolution, NO resolution for African Americans. SMH, why not? It's not just men. It's boomer men. We should lock them out of public service and positions of authority. And keep them away from women. Because boomer guys are just gross. great episode! rare to actually learn something new on a podcast. Trumpcast at its best! excellent!! thanks! you are talking about what we're not talking about. keep going. "what will it take?!" is the core essential central question in so many ways. Audio is muddy.. Can't understand podcast. so not just me... terrified to observe the normalization of Individual 1 by the press. thank you for continuing to point it out. wish I could afford to subscribe but grateful for your work. The group that wouldn't let things go are the Republicans. in the past, they kept trying to prosecute Hillary Clinton on Benghazi although they couldn't find anything. The Republicans are the ones that go off the deep end to try to prove something that they feel is true that end up not being true. If Trump is not a manchurian president then I'd let it go. Id just be ready to vote in the next election to get him out of office. But, there are just too many events that has happened in the trump admin to ignore or just brush off as coincidental or trump incompetence or him being a blithering idiot. The stuff that Trump does is just to fishy to not have suspicions. You seem to want to give him the benefit of doubt. But if it walks like a duck and talks like a duck, chances are it's a duck. I'd be surprised, shocked, and astounded if he was proved to not have some crooked ties with Russia considering all these meetings he's had with Putin alone. very anxiety-inducing, listening to you rush your guest. yeah, his pace is less driven than many speakers on the pod, but not nearly as aggravating as the host's leaning on him. Was thrilled to hear Trumpcast's "Trump" speaking on Randy Rainbow's newest video CELL BLOCK TANGO. Thrilled!!! Trumpcast's rules. wow!!! great show. I feel now like mainstream media isn't even talking about what's really going on. they're missing the point. may sound perverse but this broadcast makes me feel safer ... by dint of being informed. thanks.